Learning how to use any piece of software can be a difficult task – let alone a piece of software as comprehensive and sophisticated as HubSpot. 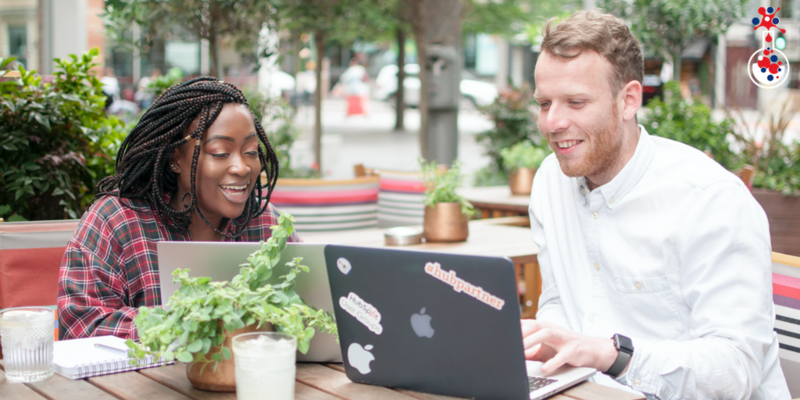 Within HubSpot, there are a number of powerful tools, all of which ‘connect’ and come together, so getting your head around it (even for an experienced digital marketer) can take time. Learning HubSpot, however, is just one part of the process; it’s also incredibly important to outline what you are trying to achieve with it and look at the big picture. For example, it’s great to know how to schedule a tweet, but why are you tweeting in the first place, and does it fit in with your wider marketing strategy? There are thousands of companies worldwide using HubSpot. These companies recognise the clear benefits of using the tool and how – instead of looking at individual marketing and sales tasks in isolation – it allows them to see the ‘bigger picture’. So how can you use HubSpot to take your marketing and sales to the next level? Where do you start when it comes to learning the software? Your first stop should be the HubSpot Academy. 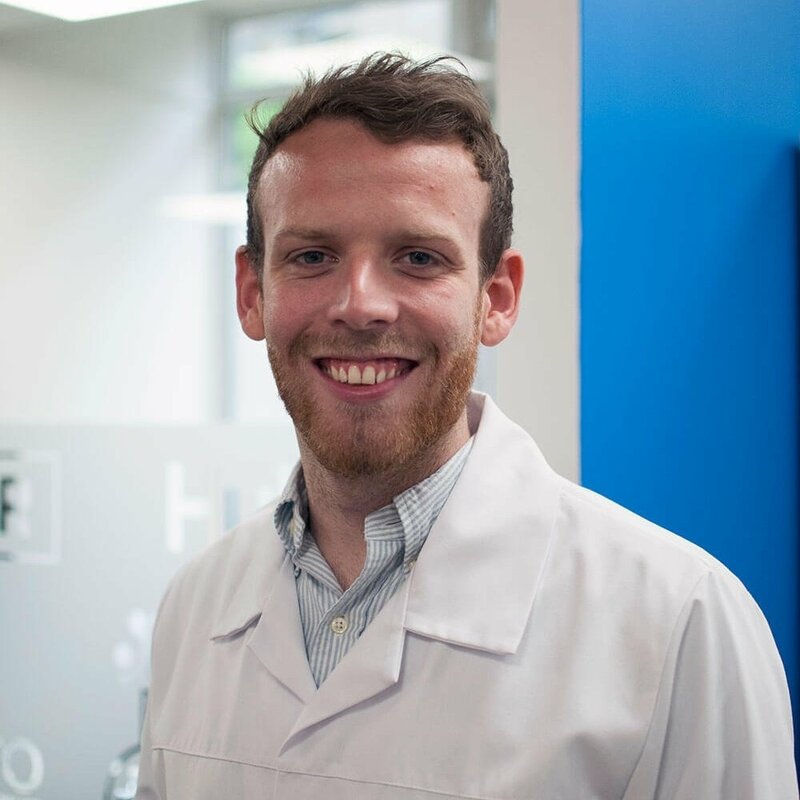 The HubSpot Academy has loads of free education courses – including courses on the Inbound methodology, content marketing, website design, Inbound sales and much more. By completing courses you can further expand your knowledge of HubSpot and Inbound and earn certifications. So you’ve taken some certifications, is it time to learn the tool now? Before you start, there are three key areas that you need to focus on. I wholeheartedly promise you that if you complete these three things, they will make your life so much easier in the long run! Firstly, do some keyword analysis. There are various ways that people can find your website, but those who arrive on specific pages of your website via organic search are likely to be the most qualified. But why? Well, website visitors who arrive on specific pages of your website via organic search will have typed in a specific search term into a search engine (Google, Bing, Yahoo) to find it. For example, if you provide B2B enterprise data analytics – a long-tail keyword term – and a searcher finds a page on your website via this term, they are most likely interested in what you provide. Your organic search traffic should have a low bounce rate. The easiest way to reduce your bounce rate is to ensure your keywords and web page content are related. No one wants to end up on a website page advertising something completely different to what they searched for. In addition, you should do some keyword analysis to see what you are currently ranking for, what keywords you need to defend, and where are the opportunities are for you to create content to try and rank. Secondly, sort out your buyer personas. You’ve purchased HubSpot because you want to try and generate new customers for your company but just who are you trying to attract to your website? Before you start, you need to create and document your buyer personas. Buyer personas are semi-fictional representations of your ideal customers based on actual data. Once you have created your buyer personas, you can then tailor every piece of content and marketing activity to appeal to your target audience. Thirdly, create a content plan. How much content are you going to create? When will you create it? And when is each piece of content scheduled to go live? You need to create a content plan and stick to it – your plan should also include dates for first drafts so you are always ahead of the game. Be bold and make a commitment to your content plan. Okay great, that’s all done – now which parts of the software should I learn first? Now that you’re finally ready to learn how to use HubSpot, where should you start? To help you on your way, I’ve identified six things you will need to master in order to become a HubSpot pro in no time at all. You need to be able to convert website visitors into known contacts and leads and typically this is done through a form hosted on a landing page. By using landing pages, you can automatically increase the number of conversion points on your website; if you don’t have landing pages, your conversion rate of your whole site will be considerably less – so it’s important to know how to create them! In addition to the above, your landing pages should differ based on the value of the content you are offering. For example, if you are offering a free trial of your product, you’ll want to gain more information on the person compared to if you were simply offering a high-level eBook. Think about the value of the content you are offering: the higher the value, the more information you should ask for in return. Ever heard the term ‘tidy house, tidy mind’? Well, the same goes for your HubSpot portal and your HubSpot contact database. You want to keep it as tidy as possible. What’s the point of doing all of this? Well, the HubSpot list tool allows you to easily segment and filter your contacts based on any of the information you have on them. For example, you can create lists based on location, lifecycle stage, create date – the list is endless – but all of this is reliant on the information being up to date. By learning how to use contact properties and the list tool, you’ll soon be segmenting and sending your emails to extremely targeted lists of contacts. What is dead: Outbound, cold emails to contacts that have never heard of you before. What is not dead: Lead nurture emails which provide further content and education based on what a contact has previously read and engaged with. Learning how to build emails in HubSpot will allow you to build long-lasting lead nurture pathways and create emails on the fly when necessary. If it takes you three days to build and send an email, you are missing out on opportunities. Also, there are different emails in HubSpot: batch emails, follow-up emails, automated emails – so understanding the difference between them from the off is crucial. Now that you know how to build emails, the next step is to build workflows (remember, we want HubSpot to make us more productive and efficient when engaging and following up with leads). These workflows send leads more content based on what they’ve downloaded previously. For example, the workflow criteria could be: if a contact downloads X eBook, send them 5 blogs and 5 eBooks on similar, relevant topics for the next 10 weeks. These workflows help keep your contact database up to date and accurate. For example, if you qualify out a contact because they are a competitor, you want to ensure that their lifecycle stage and lead owners are cleared accordingly. You can set up a workflow to do this automatically rather than going in and manually updating the information. Why? B2B Marketers that use blogs get 67% more leads than those that do not. Unless you’ve been hiding under a rock, you probably know that having a blog is one of the most effective ways to drive traffic to your website. Most B2B companies have and run a blog – even if they only post once a month. By regularly publishing new, high-quality search engine optimised content on your blog, you can improve your website traffic, resonate with your target audience, and generate more leads. By learning how to use HubSpot’s blog tool, you will be able to quickly and efficiently publish new content to your website. Furthermore, if you set up your blog subscription settings correctly, every time you post a new blog, your subscribers will receive it via email without you having to do any additional work! The long-term goal of your content marketing efforts should be to have your content ranking on the first page of Google for specific, long tail keywords. But to get there you need to share your content on the platforms your target audience frequent. And for these reasons alone, we use HubSpot’s social tool to distribute content to our audience across our company profile and the profiles of our spokespeople. By using HubSpot’s social tool, you can schedule your social media ahead of time – and in bulk across social platforms – reducing the amount of time you spend on it, making your marketing activity more productive and more efficient. 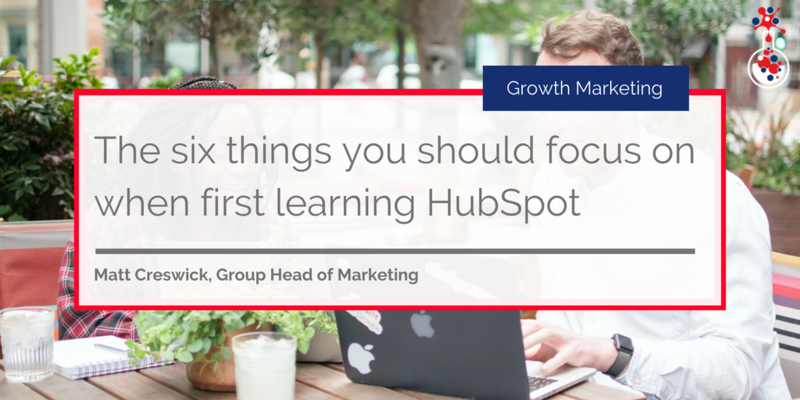 So there you have it; six things you should focus on when first learning HubSpot – plus the planning at the start. By laying a foundation before using the tool and learning how to use the tools correctly before using them, will give you the best chance of success moving forward.